Renovating, upgrading or extending your home can be exciting projects to embark on as your dreams of property improvements turn into reality. Many home improvements will also add value to your property as well as providing extra space or a modern look, for example. You may have taken over an old property which needs improvement works in keeping with its particular characteristics, or you may want to add a modern touch to a room. Whatever your needs, finding the right builder is an important part of the process, as you need to find a reputable builder. 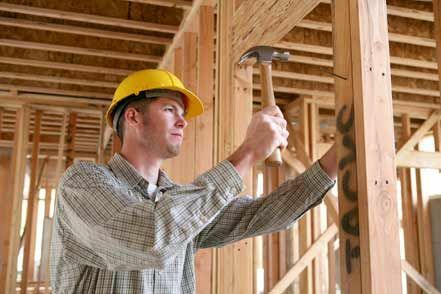 Tips on choosing a reputed home builder include careful research as well as asking family and friends for recommendations. Word-of-mouth is a good place to start when looking for a builder, so you should ask family, friends, neighbours or work colleagues for their recommendations. If they are happy with a particular builder, the chances are you will be too. You could even ask to go around to see the work they have done and whether you like it. You can also search online to see what other people are saying about builders. This can be hit and miss, as you don’t know whether the testimonial is genuine or not, but if there are a lot of posts saying complimentary things, it gives you something to work on. A reputable builder should have a website to showcase their work. Their website should include examples of building work carried out and testimonials and show their qualifications. It should also look professionally done. If a company cares about its public image, it will have invested in an eye-catching website. City and Country has a very detailed website with examples of building and conservation work, testimonials, history and articles that have been in the media. The website is impressive and crammed with information about City and Country and is a great example of how to create a professional image. Ask your local trading standards office for their recommendations. Most offices have a Builders’ Award Register or Business Approval Register of professionals who have been vetted by trading standards and who abide by their code of practice. This will ensure your builder is among the best in the area. Does the Builder Act Professionally? By now, you should have a shortlist of builders you wish to contact for further information or to arrange a quote. Ask about the builders’ qualifications and whether they subcontract their work. Find out how long they have been established, what licences they hold and whether they are a member of professional trade organisations. Ask for testimonials or to get in touch with previous customers to see what they say. A reputable builder should be only too happy to pass on details about satisfied clients to you. Find out about their insurance and whether it covers any damage or public liability claims in case of an accident. You should also get detailed quotes for the works, including materials and labour costs, as well as guarantees.